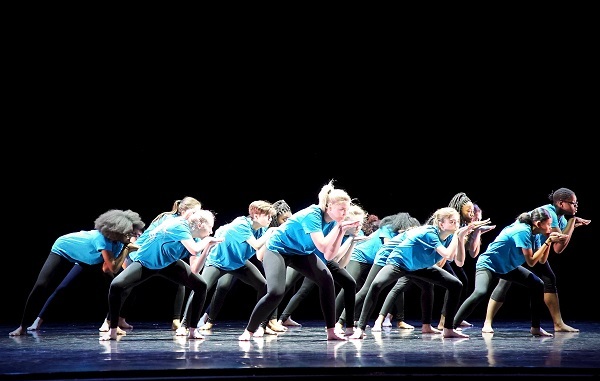 Our Learning & Engagement team and our Resident Company New Adventures worked with 18 students from our Associate Schools programme over two weeks this month to create a short piece inspired by Matthew Bourne’s Swan Lake. Following intense rehearsals in our Studio A, the project culminated with the students premiering their new piece on our main stage before the company’s Swan Lake performance on 11 January. “When I first heard about the opportunity to audition for Matthew Bourne’s Swan Lake, I couldn’t contain my excitement. The thought of getting the chance to perform on a stage that thousands of amazing dancers have danced on was simply unbelievable. Come audition day, I was a bundle of nerves, yet once the audition started they all seemed to fade away. I was made to feel so comfortable and supported by the instructors and my fellow peers that the dreaded word, audition, no longer seemed so scary. I also met some of the best people I will ever meet in my life and that’s thanks to this whole experience. Having come from four different schools, we originally started off quite separated, but within a day or so we all quickly became very close and supportive of each other; it was an amazing environment to be in. Getting to dance on the Sadler’s Wells stage was incredible! I have never done anything like it in my life and will never forget it. It was like I was dreaming the whole thing because it was so great. The most amazing part was meeting the man behind it all, Matthew Bourne, who choreographed Swan Lake for his company New Adventures. I was in absolute awe, it was a totally surreal moment. 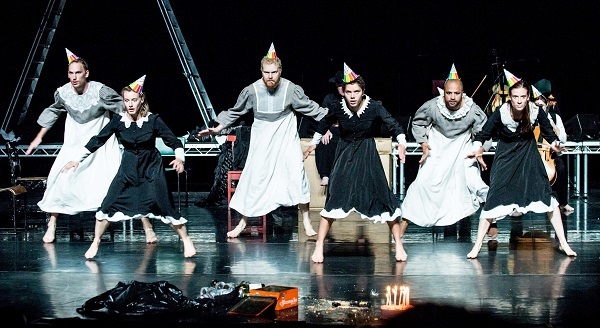 The National Dance Awards were announced today and we were delighted that a number of Sadler’s Wells’ associate artists and companies were among the winners. Our Associate Artist Michael Keegan-Dolan’s moving Swan Lake/Loch na hEala for Teac Damsa was awarded Best modern choreography. Our Associate Artist Akram Khan’s wonderful Giselle for Associate Company English National Ballet won the Best classical choreography award, with Lead Principal Alina Cojocaru receiving the Outstanding classical performance (female) award for her performance in the title role. Resident Company New Adventures’ Ashley Shaw took the Outstanding contemporary performance (female) award for her performance as Vicky Page in our Associate Artist Matthew Bourne’s The Red Shoes. Lez Brotherston, Matthew’s long-time collaborator and creator of New Adventures’ spectacular set designs, was honoured with the Ninette de Valois award for outstanding contribution to dance. Among other winners, Richard Alston Dance Company’s Liam Riddick received the award for best male dancer and former principal of The Royal Ballet Zenaida Yanowsky, who recently performed as part of Sadler’s Wells Sampled, won best female dancer. The full list of winners is available here. Many congratulations to all on their awards! Image: Michael Keegan-Dolan’s Swan Lake/Loch na hEala. Photo: Marie-Laure Briane. The winners of this year’s Olivier Awards were announced at the Royal Albert Hall on 9 April and we are thrilled that Sadler’s Wells’ associate artists and companies won four awards. 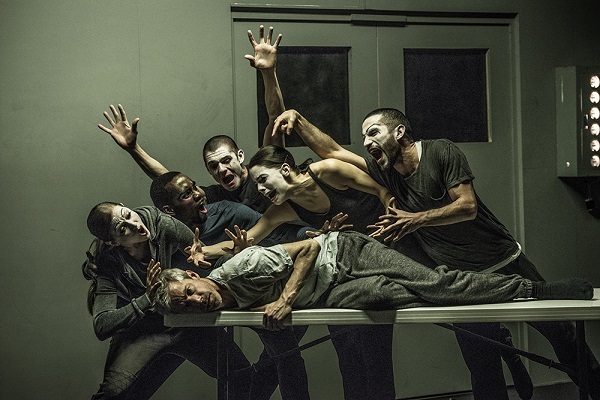 Our Associate Artist Crystal Pite and Jonathon Young received the Best New Dance Production award for Betroffenheit. Our Associate Company English National Ballet won Outstanding Achievement in Dance for expanding the variety of their repertoire with our Associate Artist Akram Khan’s Giselle and triple bill She Said at Sadler’s Wells. Our Associate Artist Matthew Bourne received the Best Theatre Choreographer award, while his latest production The Red Shoes, performed by our Resident Company New Adventures, won in the Best Entertainment and Family category. Watch our Artistic Director and Chief Executive Alistair Spalding’s interview on dance in the UK and the importance of celebrating great dance artists and their work at the Olivier Awards. Sadler’s Wells’ Resident Company New Adventures won the International award at The Stage Awards 2017. Winners were announced at a ceremony at the Theatre Royal, Drury Lane last Friday. The award recognised the company’s international touring and audience engagement activities, which in 2016 included a mammoth tour of New Adventures’ Sleeping Beauty in Asia, with audiences of over 70,000. Many congratulations to Sir Matthew Bourne, Robert Noble and all the dancers and company members! 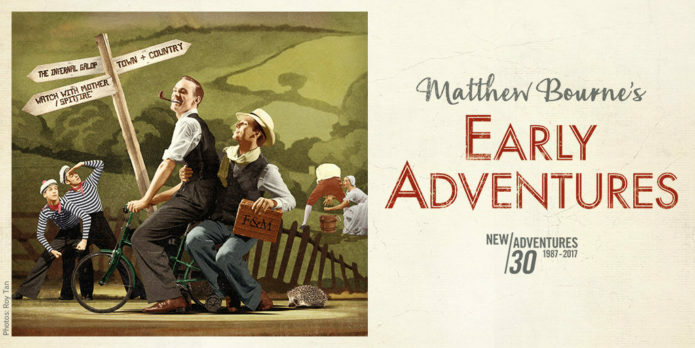 We look forward to seeing New Adventures back on our main stage in April with Matthew Bourne’s Early Adventures. The 2015 Critics’ Circle National Dance Awards were announced during a ceremony at The Place today, with many of Sadler’s Wells associate artists, companies and friends featuring among the worthy winners. 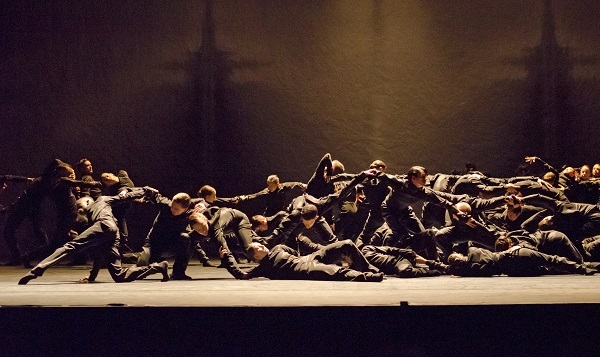 Our Associate Artist Crystal Pite received the award for Best modern choreography for her epic work Polaris, produced by Sadler’s Wells as part of its Thomas Adès: See the Music, Hear the Dance programme. The Outstanding company award went to our irrepressible Resident Company New Adventures, with their brilliant dancer Zizi Strallen receiving the Outstanding female performance (modern) award for her portrayal of Lana in Matthew Bourne’s The Car Man. Our Associate Artist Wayne McGregor won the Best classical choreography award for Woolf Works, created for the Royal Ballet, while flamenco dancer Israel Galván was given a special award for exceptional artistry. Finally, our Associate Artist Sylvie Guillem was honoured with the De Valois award for outstanding achievement, in recognition of her extraordinary career. She shared the award with Caroline Miller, who was recognised for her 10-year tenure as Chief Executive of Dance UK. 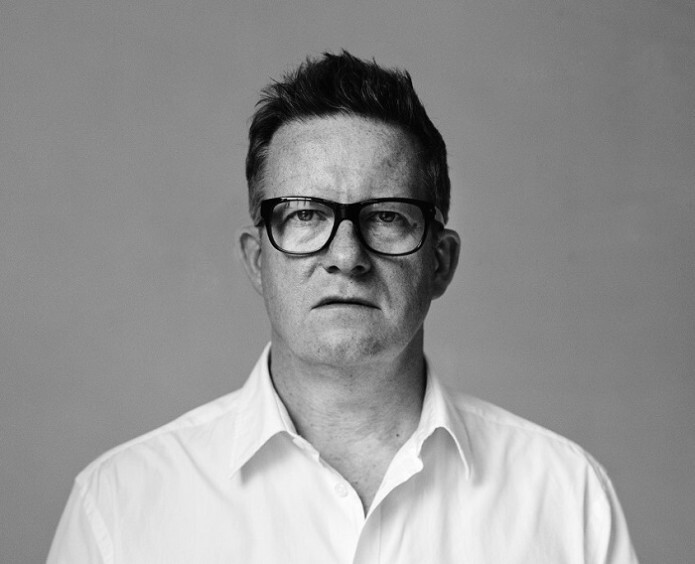 Sadler’s Wells’ Associate Artist Matthew Bourne is to be honoured at the UK Theatre Awards 2015 for his contribution to theatre. The choreographer and Artistic Director of dance company New Adventures will receive the The Stage award for outstanding contribution to British theatre at a ceremony in London on 18 October. A five-time Olivier Award-winner and the only British director to have won a Tony Award for both Best Choreographer and Best Director of a Musical, Bourne is one of the most popular and successful choreographers working today. Following a 14-year career as a professional dancer, he quickly established himself as an audience favourite with his endlessly inventive and witty versions of classical ballets, such as Nutcraker!, Swan Lake and Cinderella, as well as innovative productions like The Car Man and Edward Scissorhands. During the Easter holidays, the young cast who performed in Matthew Bourne’s Lord of the Flies in October 2014 participated in a skills workshop led by dance company ZooNation as part of the production’s legacy programme. The 22-strong cast, aged 11 to 22, were selected from 950 boys and young men from across the capital to perform alongside professional dancers from New Adventures in Matthew Bourne’s acclaimed show last year. 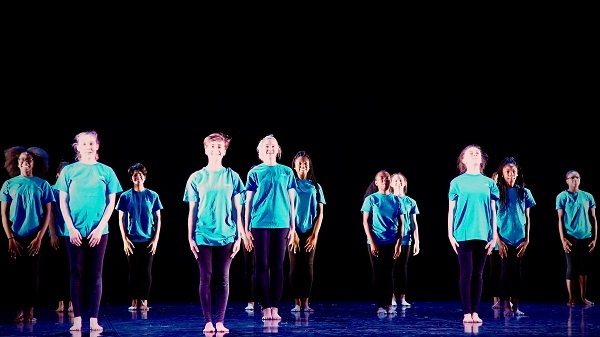 Thanks to legacy funding from New Adventures, Sadler’s Wells has been able to continue working with these young dancers. A year-long programme has been designed to extend the group’s knowledge and experience of dance through access to professional artists, skills workshops and performance visits. Mentored by dance ambassadors Sam Cook and Shaun Dillon, the young dancers have so far learnt how to move like Edward Scissorhands in a workshop led by New Adventures in December; been gripped by BalletBoyz and their performance of Young Men at Sadler’s Wells in January and witnessed acrobatics in Cirkopolis at The Peacock in February. 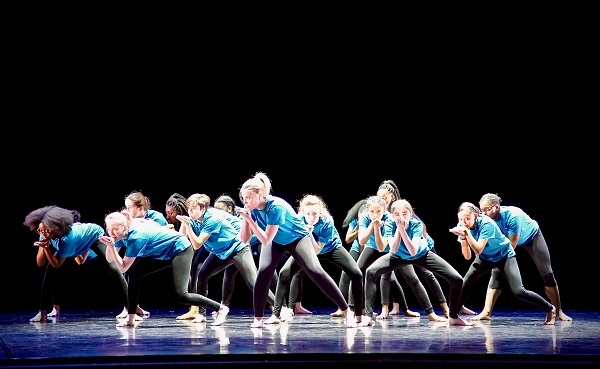 Next up is a weekend focused on dance company Rambert. On Saturday 16 May, the group will attend a matinee performance of the company’s triple bill Dark Arteries/ Frames/ Four Elements. They will take part in a pre-show talk with Rambert’s Artistic Director Mark Baldwin, Music Director Paul Hoskins and composer Gavin Higgins, as well as a post-show Q&A session led by Liam Mower, company dancer and rehearsal director. 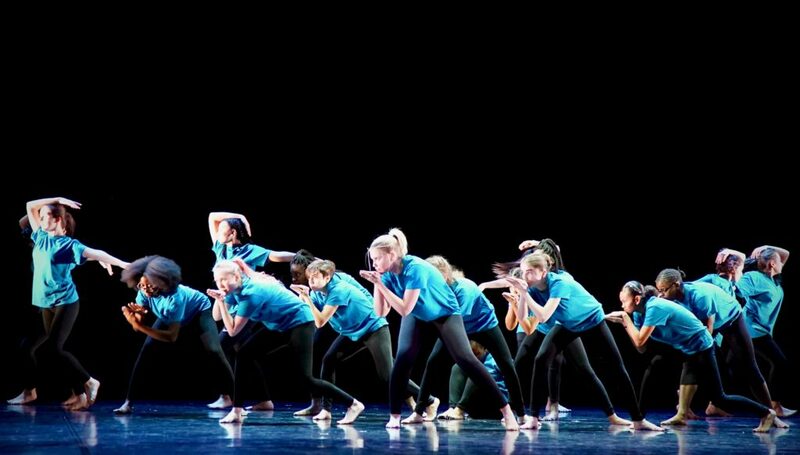 On Sunday 17 May, the young dancers will visit Rambert’s studios in central London, where they will be given a tour of the building and take part in a three-hour workshop led by former company dancer Eryck Brahmania. 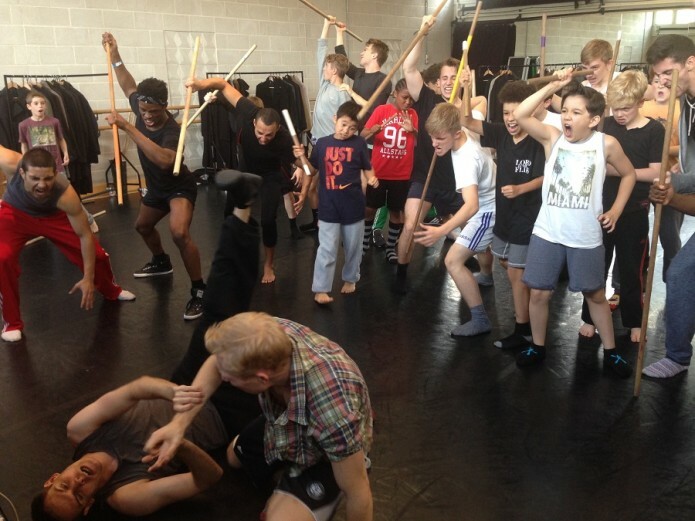 Photo: the young cast of Matthew Bourne’s Lord of the Flies in rehearsal in 2014.